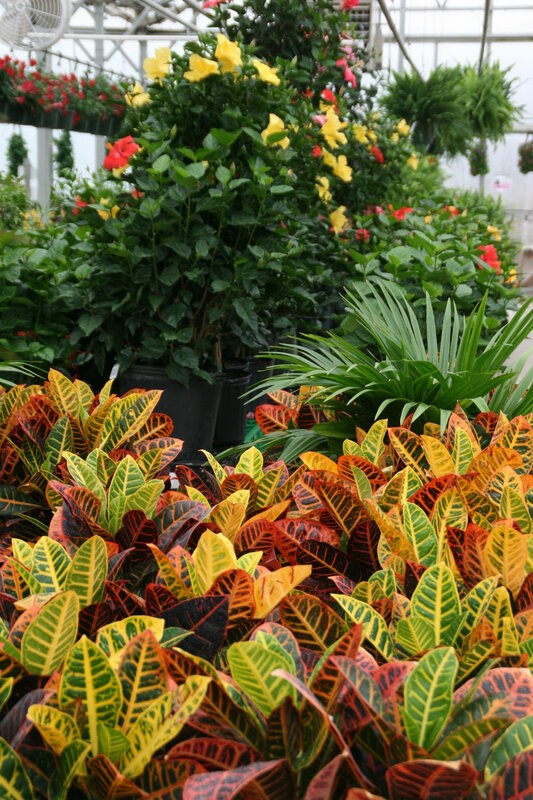 Northwest Iowa may not be tropical, but we can bring the vibrant colors and beauty of the tropics right to your home or patio. We have a wide variety of selections from all the over the world. Plants from the South, flowers usually found in the forests, mountains or deserts of Central and South America and so many more are all growing under our Giant Shade Tree. Come explore and take your imagination on a tropical retreat!